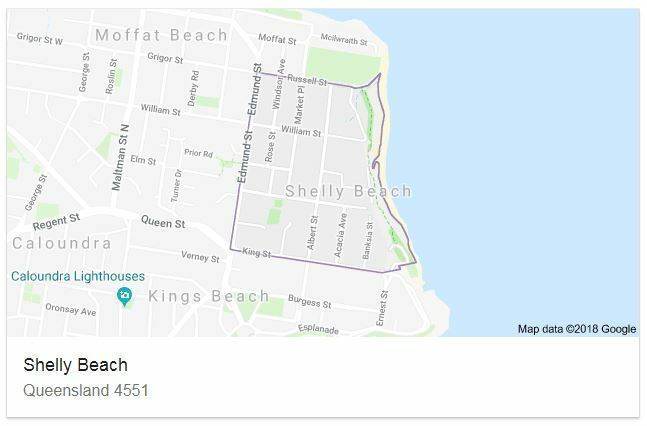 “Shelly Beach can be described as the central beach suburb, with Kings Beach to the south and Moffat Beach to the north. 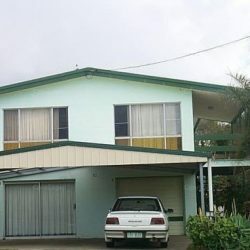 The wide street in part of the suburb give testimony to the fact that this suburb was originally designated to be the central Caloundra township. In fact, the Police station until the 1960’s, was in King Street and the current residential sites on the corner of Albert and Stewart way, was the Francis Hotel, which was only knocked over in the early 2000’s. The suburb has approximately 470 dwellings. There are no unit blocks but several small town house complexes. The significant point is that Shelly Beach, although not a patrolled surf beach – has not changed in hundreds of years. During main holiday season in summer, it is still relatively quiet and peaceful. Historically, shell girt was once extracted off the beach until the 1960’s. The older beach suburbs such as Shelly Beach have the beach style of 1950’s and 1960’s dominate the landscape. These were essentially high or low-set, three bedroom, one bathroom Fibro homes with ‘super six’ fibro roofs (due to the sea air and rust). These of course, were ex-options of the time. Today, generally speaking, we are witnessing multi-hundred thousand dollar renovation or complete rebuilds on the existing land. Currently, a knock-down fibro cottage in Shelly Beach sells somewhere in the $700,000 plus bracket, with the average homes selling from $800,000 to $900,000. There have been some larger lot subdivided and new residences being constructed. Shelly Beach is unique as there is only one commercial property – The Shelly Beach Store in Albert Street. This prestige suburb is becoming a unique and very sought enclave”. David Millar Real Estate have properties to buy, sell or rent in Shelly Beach, QLD.